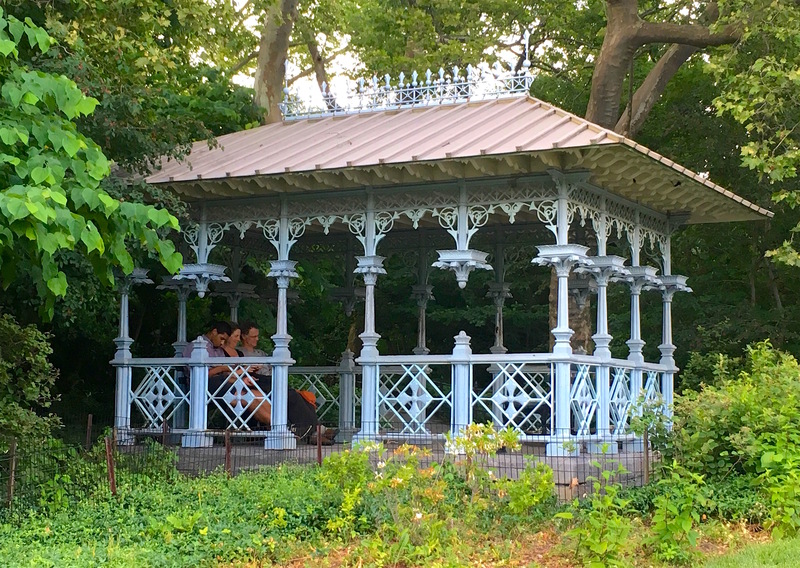 With its ornate roof and gingerbread house motifs, the Ladies Pavilion is straight out of the Victorian era—a cast-iron, open-air structure for catching a breeze on the Lake in Central Park. It’s also relatively hard to get to, accessible by rowboat to a rock formation called Hernshead or on foot via the woodsy footpaths along the Lake inside the Ramble. 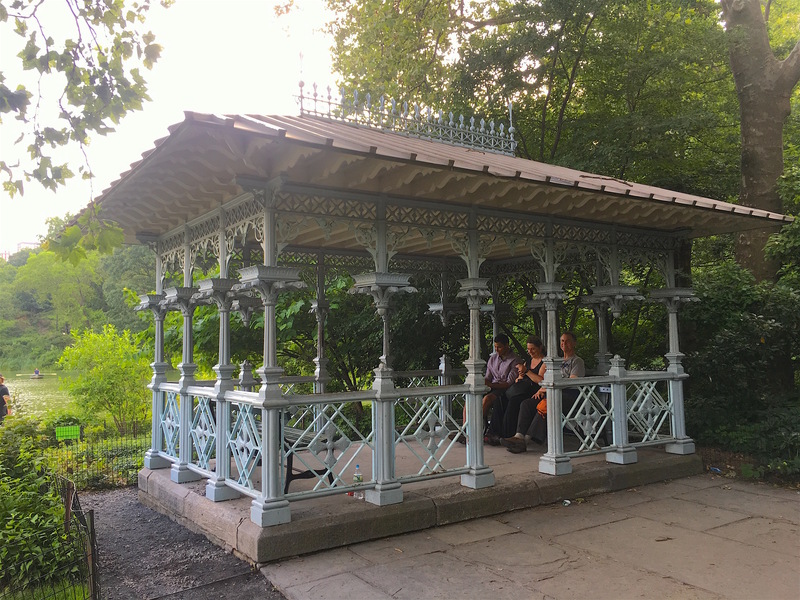 Designed by Jacob Wray Mould, the architect behind many park structures, the pavilion fits in well with the Victorian style of nearby bridges and fountains. But it’s actually only been here since the early 20th century. How did it end up in on the Lake? 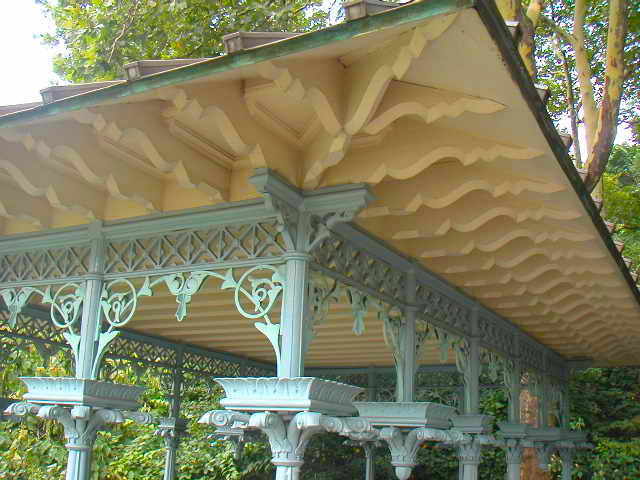 Built in 1871, the Ladies Pavilion was originally a trolley shelter at the park entrance at Eighth Avenue and 59th Street, wrote Ada Louise Huxtable in a 1973 New York Times piece. This might be it in the 1895 illustration, above, from Munsey’s Magazine. “This intersection, north of Manhattan’s developed residential and commercial areas, became a transportation hub for Central Park visitors, many of whom had to travel great distances from their homes to enjoy the park’s offerings,” according to the University of Vermont’s Historic Preservation Program. 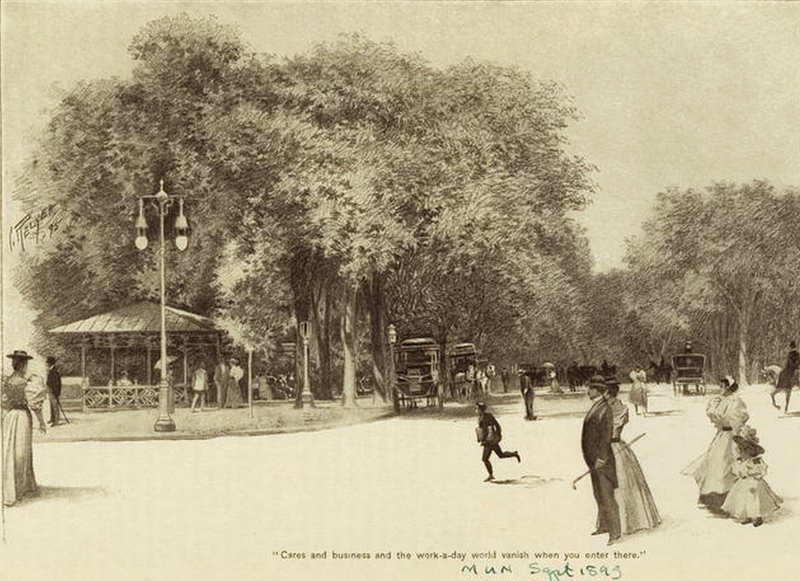 When the Maine monument was installed at this corner in 1912, the trolley shelter was moved to Hernshead. “The popularity of skating on the Lake well into the middle of the 20th century, and the care taken to move the Ladies Pavilion rather than demolish it, suggests that it was well-used and appreciated by park patrons,” states the UVM page. 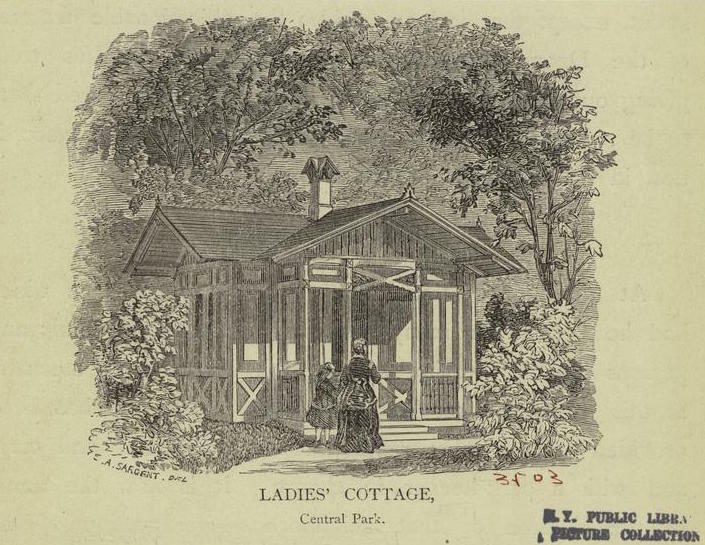 These days, in a gender-neutral era the Victorians would have found horrifying, the Ladies Pavilion doesn’t seem to have any specifically female connotations. But it is considered an especially romantic part of Central Park and has become a popular place for weddings. For more about the building of Central Park and the park’s early years, read The Gilded Age in New York, 1870-1910.